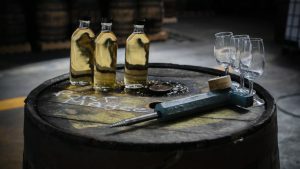 Irish Whiskey Blogger and Director of Portmagee Whiskey, Stuart McNamara shares the story of the creation of Portmagee 9. Growing up beside the sea in West Cork, my neighbourhood villages and towns were the maritime communities of Kinsale, Clonakilty and Courtmacsherry, so when John and James Murphy invited me to join their fledgling Portmagee Whiskey team, I already had an intuitive sense of their vision for a “Spirit of the Sea”. 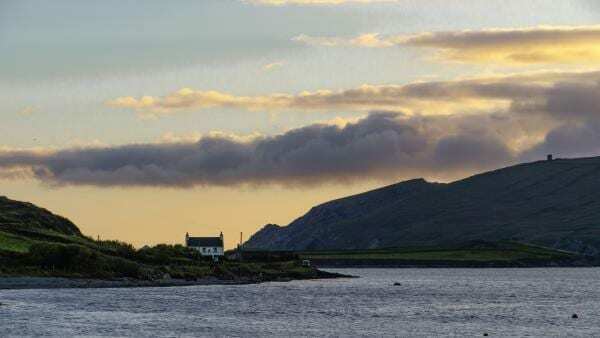 Over the last few years, I have had the pleasure of being welcomed into both the Portmagee Community and the Portmagee Whiskey team and have made many new friends in the Portmagee, Caherciveen, Valentia and wider Skellig Coast and South Kerry business, hospitality and tourism worlds. In creating our first Portmagee Whiskey expression, we wanted to create a whiskey that would appeal to whiskey beginners and whiskey aficionados alike. We wanted to create an Irish Whiskey that would be quite unique and special to truly reflect our vision of a “Spirit of the Sea”. A unique and special Whiskey that could easily stand apart from the hundred or more Irish Whiskey brands currently on the market, all of which, like us, have been sourced from the six or seven Irish Whiskey distilleries who have been active long enough to have aged whiskey on the Irish Whiskey market. We decided to start with an aged Single Grain Irish whiskey as the foundation upon which to start creating our first Irish Whiskey blend. 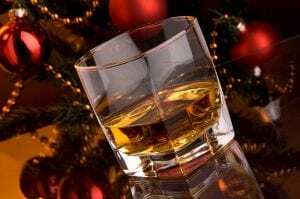 Single Grain Whiskey, being lighter in character than Single Malt or Single Pot Still Irish Whiskeys is generally a very approachable and easy drinking whiskey for beginners. This lightness also makes it a wonderful blank canvas to showcase a unique cask finish especially from a rum or wine cask. Think of the effect of a red or blue drop of water colour on a blank white sheet where the deep red centre spot gently radiates outward from red in the centre to an outer pink blush. A Single Grain whiskey and special cask finish should, if balanced properly, marry and complement each other’s flavours, rather than clash or confuse. 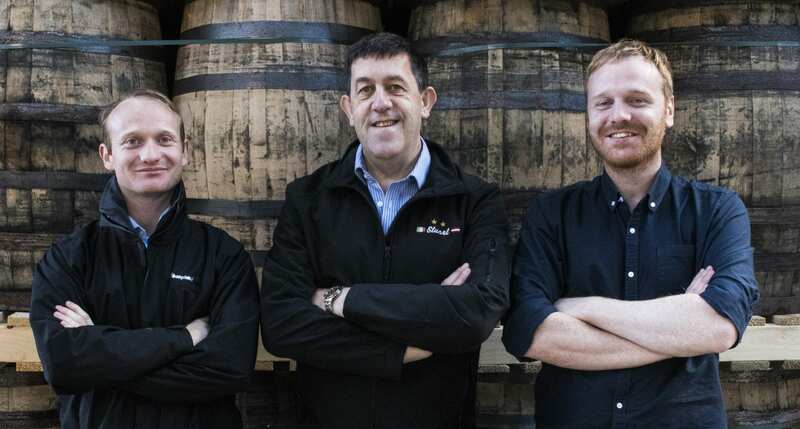 The Portmagee Whiskey Team. Left to Right. John Murphy, Stuart McNamara and James Murphy. We were aware that the Great Northern Distillery (GND) owned by Dr. John Teeling had some really excellent 8 year old Single Grain liquid. We approached GND and working closely with their Master Distiller Brian Watts and his team, brought some of their eight-year-old single grain up one more year in age to nine years. The numbers three and nine are quite significant in the Irish Whiskey World. Triple Distilled, three core types of Irish Whiskey, three years maturation to become Irish Whiskey. It’s the reason why some years ago, I chose the third of March or 3/3 as the annual date for International Irish Whiskey Day. And of course, three by three equals nine! 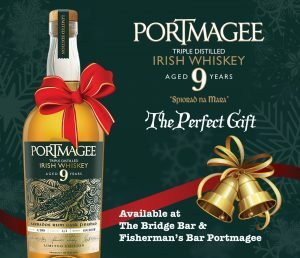 The concept of a unique Portmagee Nine Year Old Irish Whiskey was born. Our branding reflects our maritime heritage and in particular the history of Seine Boat Fishing and Racing in Portmagee. 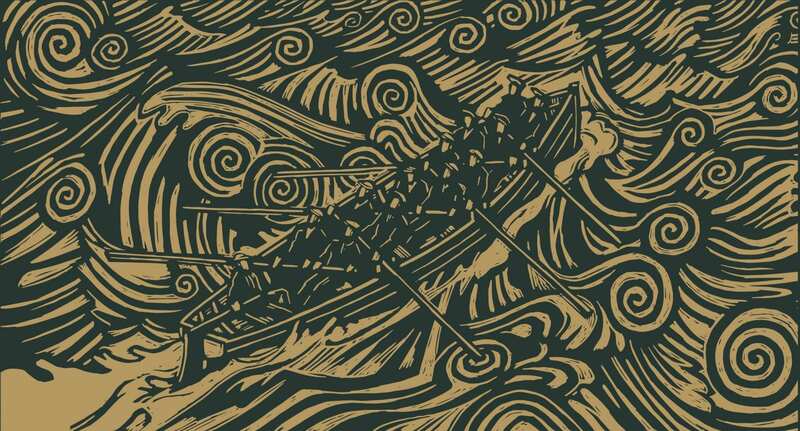 Every label of Portmagee Whiskey carries a woodcutting of a Portmagee Seine Boat and thirteen man crew which we commissioned form Irish artist Brian Gallagher on the advice of our brilliant label designer Gillian Murphy. We found a really terrific 12 year old Irish Single Malt in the GND bonded warehouses, which similar to our single grain find, we brought up one more year in age to 13 years in homage to our Seine Boat heritage. Although our whiskey is a blend of 9 year old and 13 year old Irish Whiskeys, the convention in whiskey is that aged whiskey may only be referred to in name by the youngest whiskey in the blend. Portmagee 9 was born. We now worked on balancing and perfecting our blend. We kept enough 9 year old single grain to preserve the approachability for whiskey beginners and added just enough 13 year old single malt to add the character and depth expected by an Irish Whiskey aficionado, but not too much aged Single Malt so as not to overpower or compromise the really special maritime finish we had planned. 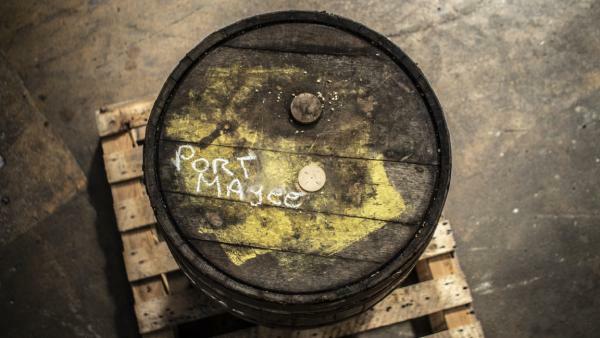 Portmagee is named after Captain Theobald Magee, a Jacobean Smuggler who made Portmagee village and harbour his home port while running a highly successful smuggling business between Portugal, Spain and Ireland in the early 1700’s. Among the contraband he smuggled to Portmagee from Spain and Portugal were textiles, tobacco, wines and of course that staple of 1700’s seafarers, Caribbean Rum. What better finish for a whiskey to reflect the heritage of Portmagee than a dark rum cask finish. 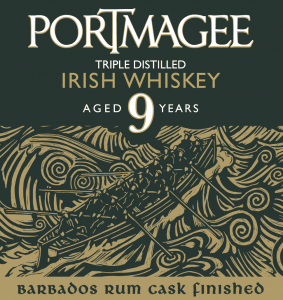 Portmagee Whiskey have sourced an exclusive supply of Barbados Rum Casks and this is the final capstone element that makes our Portmagee 9 Whiskey a true “Spirit of the Sea”. Our triple distilled Portmagee 9 is married and finished in the Barbados Rum casks at cask strength in small batches of 200 litres per release. Our first release (Cask 1) allowed us to release just 399 individually numbered bottles when brought down to 40% ABV. Although bottled at 40% ABV, there is no chill filtering and no added colouring has been used. Our second Cask 2 release will be in early 2019 and our new Non Age Statement Portmagee Whiskey with a Barbados Rum cask Finish is due for release a few months later. As a Whiskey blogger and commentator, I could not be happier to have my name on the Portmagee 9 brand and bottle. I am particularly happy with the delicate balance we have achieved between the Single Grain and Single Malt marrying and blending and the wonderfully warm Barbados Rum Cask Finish. 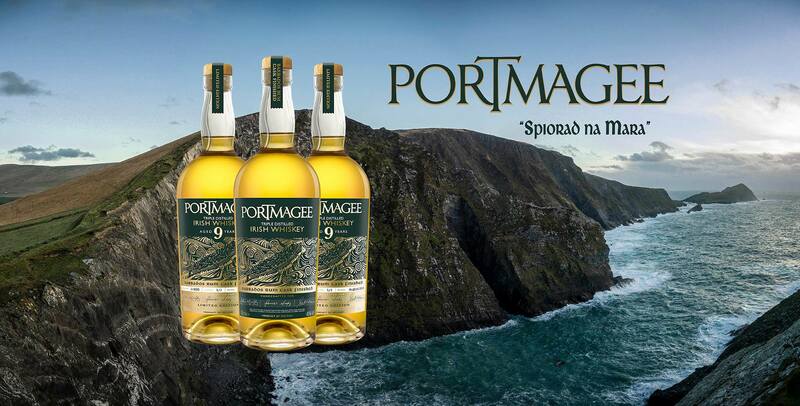 Portmagee 9 is an approachable, sophisticated and quite unique Irish Whiskey which has successfully captured the spirit of Portmagee Village, South Kerry and our team. A true “Spirit of the Sea”. Nose: Light floral nose with warm vanilla, green apple, tropical fruits, toasted oak and toffee apple. Taste: Luscious mouth feel. Malted barley and cereal notes with rich dried fruit, crisp apple and a hint of brown sugar. Finish: A gentle crackle of Irish Single Malt Whiskey lingers mid-tongue with a smooth and throat-soothing Barbados Rum Finish. Neat, but with a small drop of water to taste. Neat with one or two cubes of ice.